Money left for staff at the Acorn Centre in Inverurie West Parish Church has helped a wide range of different organisations including playgroups, Scouts, music and gardening groups. 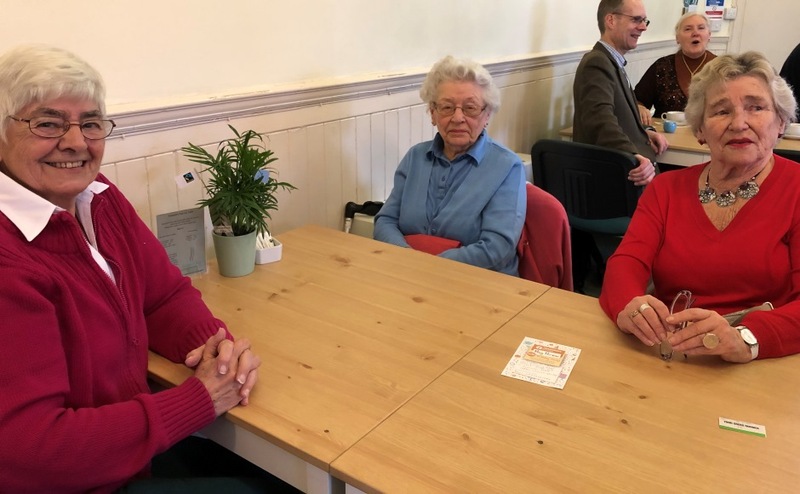 People in sheltered housing complexes and cancer care support services have also benefited from the generosity of hard working café volunteers, who chose not to take the tips for themselves. The Acorn Cafe at Inverurie Parish Church in Aberdeenshire. The money has been collected over the course of the last 10 years when the cafe opened. A total of £4,400 in small grants has been awarded to 16 organisations this year to date. 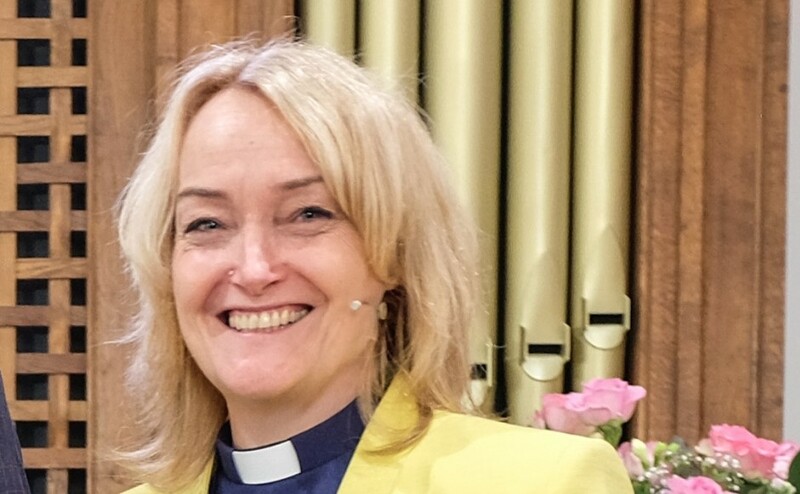 Inverurie West Parish Church minister, Rev Rhona Cathcart, said: “It’s fantastic to have the opportunity to ‘recycle’ the generosity of the community in this way. “I love the fact that even during leaner times, no one has ever suggested stopping the small grants scheme. “Our commitment to the local community remains strong even as we reach out beyond our walls in other ways. 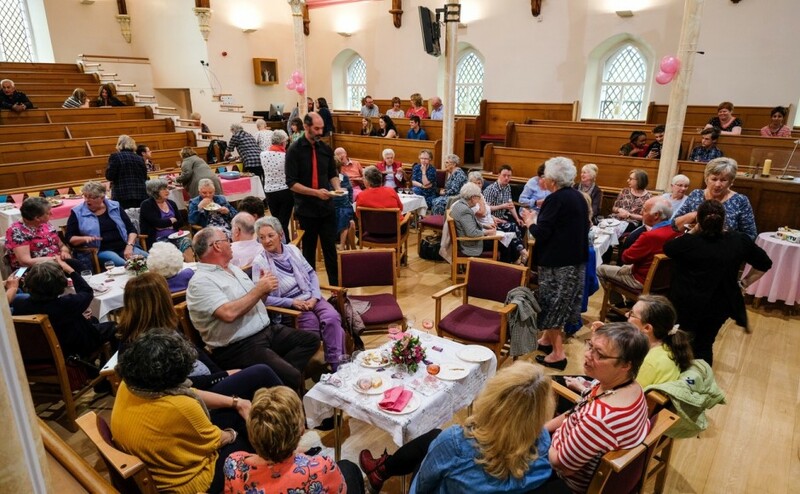 A 10th anniversary party to mark the transformation of the church into a community hub was held on June 4. A special cake was baked for the occasion to the delight of the 120 plus people who attended. The church refurbishment project was completed in March 2008 and overseen by former minister, Rev Ian Groves, who took the revolutionary decision to dramatically alter the 19th century granite building. This involved splitting the interior of the space horizontally, creating a cafe, chapel, Fairtrade shop, library/meeting room and quiet room on the ground floor, and a sanctuary upstairs. A glass porch was installed at the front, and a Pause for Thought Garden was cultivated in the back, to highlight the church’s commitment to being an open and welcoming space. 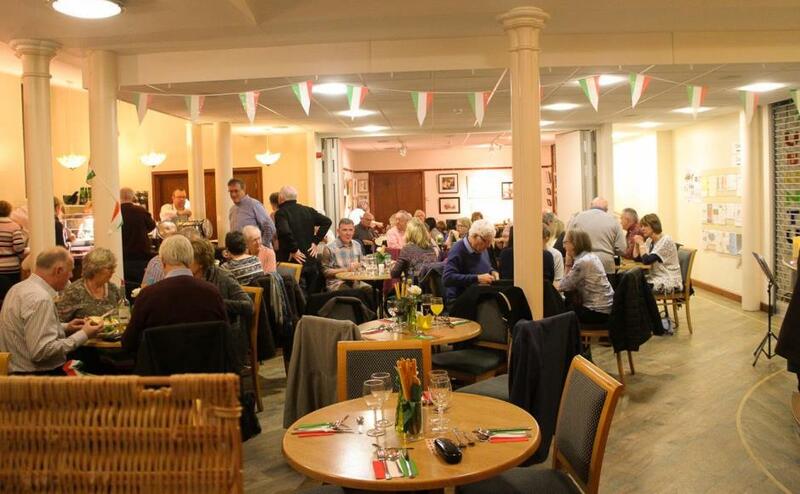 Ten years on, The Acorn Centre is abuzz with conversation as both locals and visitors drink coffee, enjoy freshly cooked lunches and hold meetings between Tuesdays and Saturdays. People get to know each other around the ‘family table’, browse the gallery of local artwork which changes every month, buy fairly traded food and crafts and find some quiet space upstairs or catch up with the local news. 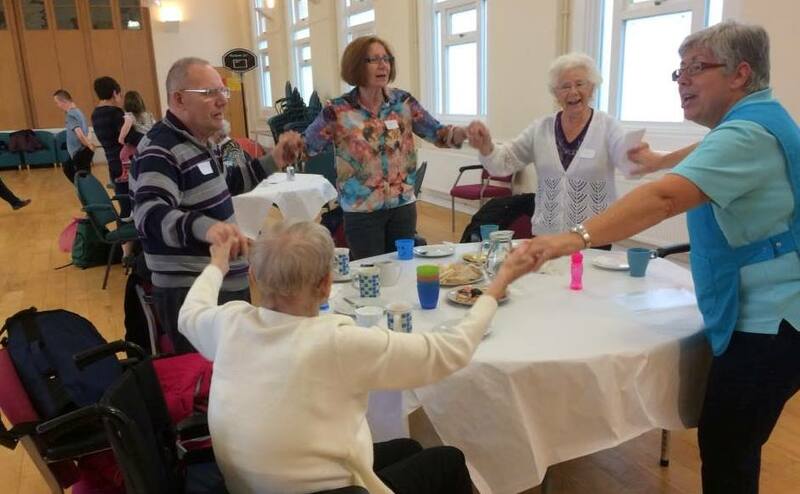 Regulars are greeted by name and treated as one of the family, and everyone is given a warm welcome by the all-age volunteers who do most of the serving. Ms Cathcart, who took up her role in March 2017, said: “I was immediately drawn to the space here when I began looking for a charge. The church recently installed live streaming equipment so that services can be viewed online. Regular viewers include a group of residents at the local nursing home, Bennachie View. A rota of volunteers go into the home every Sunday morning, chat with the residents and then watch the service together on the residents’ Smart TV. 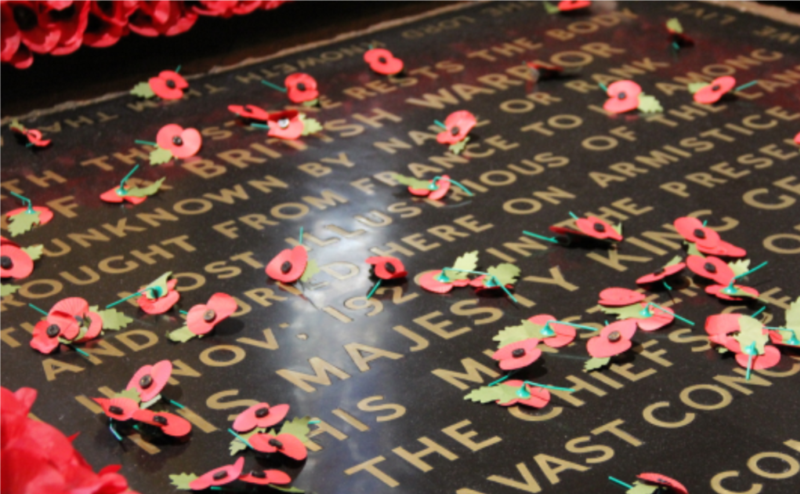 The services are also watched by a wide range of other people, near and far. Ms Cathcart said: “We have a wonderful community at the church and in the centre, but these days ‘community’ isn’t always defined geographically. “People are exploring and finding ways of making new connections, often online. 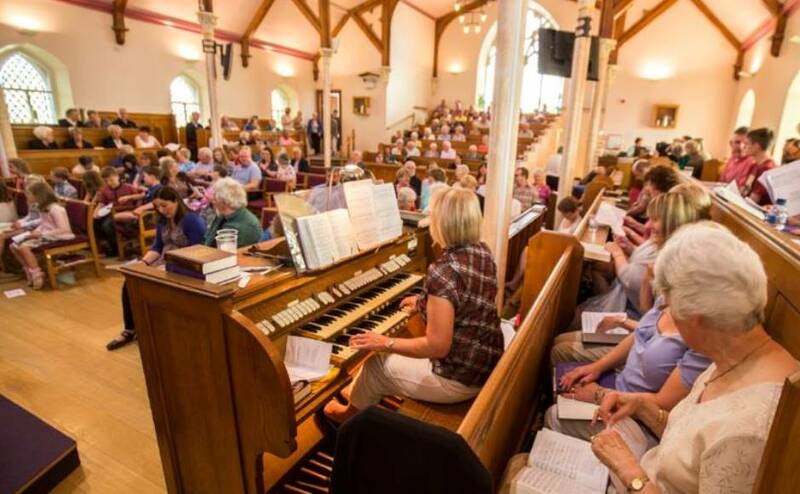 “We wanted to see how we could continue to support our existing parish based networks while opening up our reach to a much wider network of people who might want to worship with us. Entertainment at Inverurie Parish Church. Ms Cathcart said other types of worship may evolve out of the project, depending on the needs and interests identified. “All the changes we’ve made to our church start from the same place,” she added. “They are all part of our efforts to be a church without walls, a place where all kinds of people can encounter the love of Christ - in worship, in conversation, even in the joy of a ‘fine piece’. “Every day, every single day, I see the team here demonstrating that love, in practical ways.